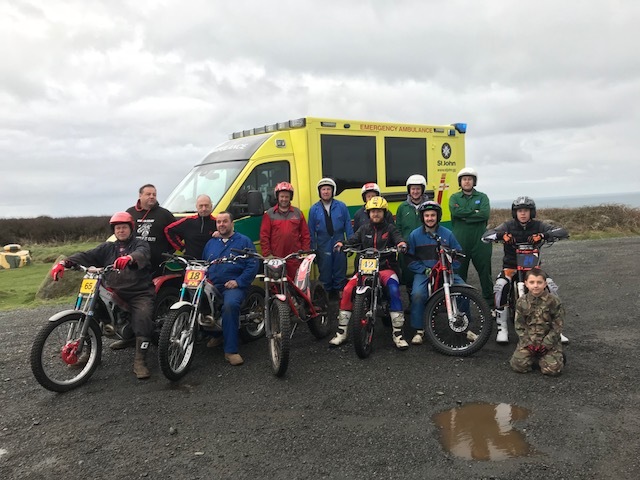 The St John Emergency Ambulance Service fundraising appeal for a new emergency road ambulance received a boost this weekend with the presentation of a cheque for £557.50 from the Trials Section of the Guernsey Motorcycle and Car Club (GMCC). 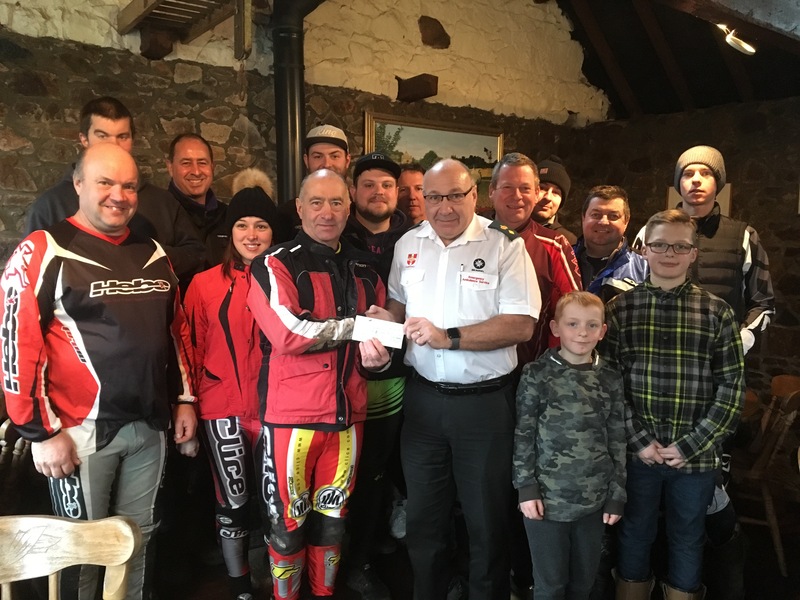 Riders raised the money from their pre-Christmas charity trial in December. 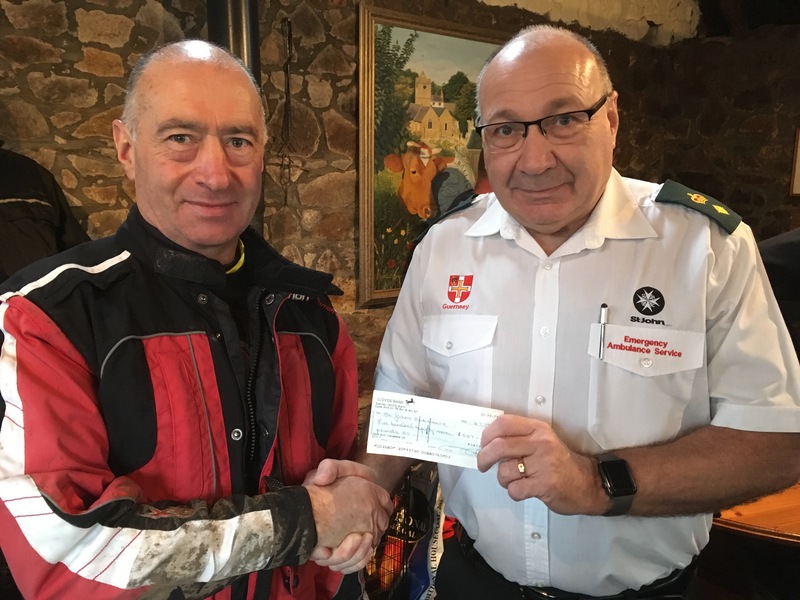 The cheque was presented to St John Senior Officer Dave Welbourne by Andrew Benstead, chairman of the Trials Section, GMCC. The 2018 new ambulance appeal was launched last month with the aim of raising £140,000 for a new vehicle to replace the oldest vehicle in the St John fleet. The new ambulance will be based on a Mercedes/WAS UK design, adapted to Guernsey specifications on a specially designed chassis, with a purpose-built body to accommodate life-saving equipment, diagnostic tools, a stretcher and a variety of medical and first aid kits. The fully equipped vehicle will allow St John paramedics and clinicians to provide advanced emergency pre-hospital treatment and care for a whole range of conditions from cardiac arrests to road traffic collisions, and major incidents around the island.